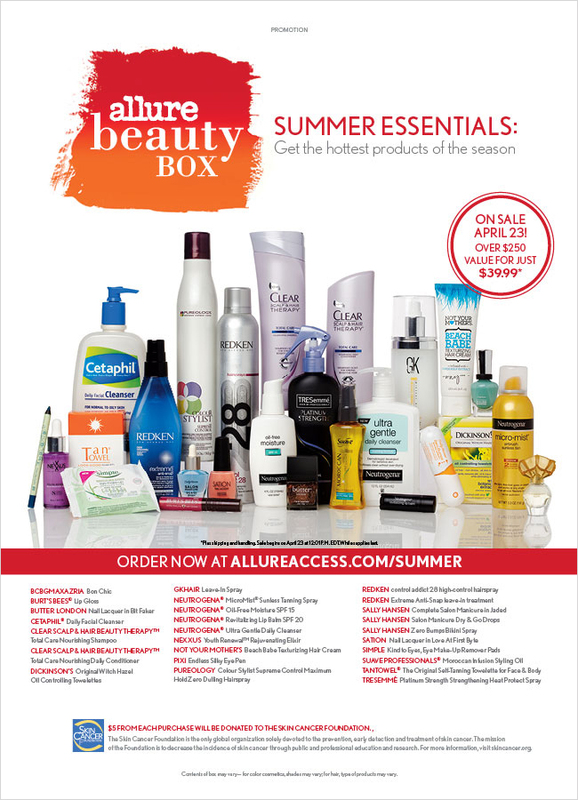 The Allure Summer Beauty Box is COMING!!!! It goes on sale April 23rd and promises an over $250 value for only $39.99 plus shipping and handling. You can see a previous Allure Summer Beauty Box HERE. FABULOUS!!!! I will be posting a breakdown of what I see and the values later today! Wahoo!! We are so excited!!! allureaccess.com/summer will be the link to go to to purchase!